Le Conservatoire national supérieur musique et danse de Lyon a le plaisir de vous annoncer la nomination de Mathieu Ferey à la fonction de Directeur. Il succède ainsi à Géry Moutier que nous remercions pour le travail accompli durant son mandat de 9 ans à la tête de l’établissement. Appointed by order of the Minister of Culture on 2 January 2019. The Conservatoire national supérieur musique et danse de Lyon is very happy to announce the appointment of Mathieu Ferey as Director. He takes over after Géry Moutier, to whom we are grateful for the work accomplished during his 9-year mandate at the head of the institution. Born in 1968 in Pontoise (Val-d’Oise, France), classically trained pianist, Mathieu Ferey gradutated from the Conservatoire national supérieur de musique et de danse de Paris in aesthetics and history of music. He developed a deep interest in transmission and holds the certificat d’aptitude (state degree) in management of conservatories. Very early on, running a conservatory was one of his professional perspectives. He was successively Director of the conservatory of Vincennes (Val-de-Marne) and of the conservatory of 17th district in Paris, where he actively contributed to the supervision of the renovation of the building. In 2014, he was appointed as music inspector at the City of Paris. Because of his expertise in the specific field of artistic education, he was invited to join the international meeting on preservation of traditional arts organised in 2013 in the Guangdong province of the People’s Republic of China. Passionate about the interaction between music and text, Mathieu Ferey is regularly asked to hold conferences or write programme notes for concerts: he collaborated with the Philharmonie de Paris, Radio-France and music label Naxos et Timpani. He introduced the concerts of the Chœur régional d’Ile-de-France and orchestra Pasdeloup and participated in reading-concerts with soloists of the ensemble l’Itinéraire. He was also involved in the tribute to Claude Debussy broadcasted on Arte in September 2012. For many years, Mathieu Ferey has been working on French music at the turn of the 20th century, and more especially on the work and life of Joseph-Guy Ropartz (1864-1955). In January 2003, he was invited by the CNSMD de Paris for a reading-concert dedicated to the composer’s melodies in collaboration with the Lied and Melody department of Jeff Cohen. In the subsequent years, he was asked by the CNSMD de Paris to renew the experience and present the melodies of Ernest Chausson, Honegger, Caplet, Saint Saens and Albert Roussel. Together with Benoît Menut, he wrote Joseph-Guy Ropartz à Nancy (1894-1919), un exemple de décentralisation musicale, published in the collection entitled Le mouvement scholiste de Paris à Lyon, Symétrie editions. In 2005, he wrote a biography of Ropartz, published in the Mélophiles collection. He also took part in the collective La Grande Guerre des musiciens, Symétrie editions. Since 2003, he has presided over or been a member of numerous juries at the CNSMD de Paris. From 2013 to 2016, he was part of the ‘Arts’ commission of the Centre National du Livre. 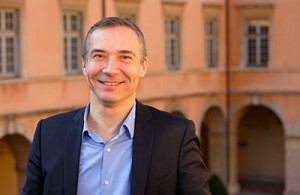 Mathieu Ferey is Knight of the Order of Academic Palms.